Take an irresistible journey to the congenial tasting rooms of a vast and unspoiled paradise. With The California Directory of Fine Wineries: Central Coast as your guide, you wander through world famous Santa Barbara County, home to the landmark cellars of Santa Ynez Valley, Santa Maria Valley, and Sta. Rita Hills. You meander the scenic back roads of San Luis Obispo on your way to Edna Valley's premier wineries. You travel to rustic Paso Robles, where the winemakers themselves pour you a glass of their distinctive blends. 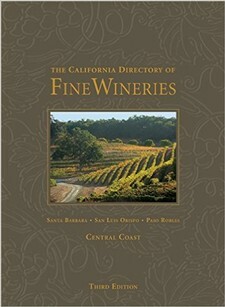 This fully updated, third edition of The California Directory of Fine Wineries: Central Coast is an essential, up-to-date guide to boutique tasting rooms, working ranches, warehouse wineries, and intimate, family-owned vineyards.